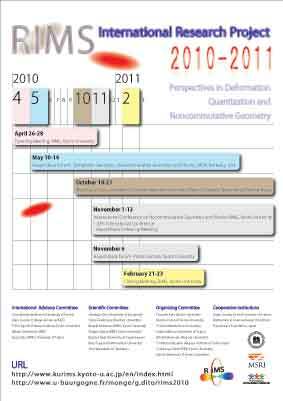 The thematic year Perspectives in Deformation Quantization and Noncommutative Geometry is one of the International Research Projects of the Research Institute for Mathematical Sciences of Kyoto University for the Japanese academic year 2010 - 2011. The objective of the thematic year is to bring together mathematicians, physicists and mathematical physicists working in areas in which deformation quantization and/or noncommutative geometry plays an important role. Conferences, workshops and seminars which are part of the thematic year will be announced in a near future.